Recently, CoFounder and CTO of Wunder Capital, Dave Riess sat down with the team from IBM developerWorks and The New Builders Podcast to discuss product development at our company. Their discussion as well as a short summary is below. 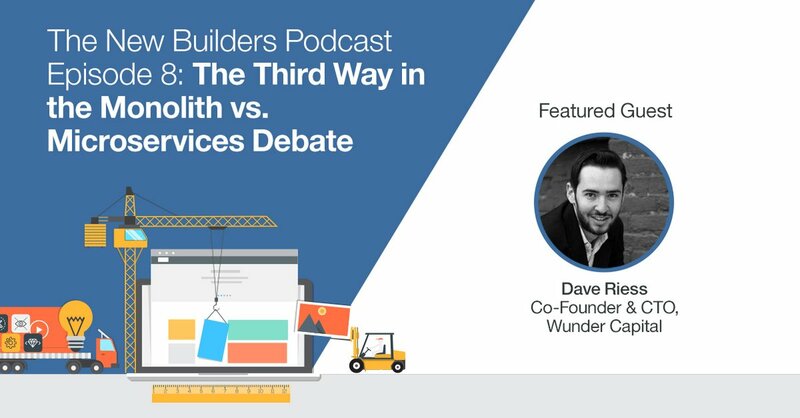 In Episode 8 of The New Builders, Dave Riess, Wunder Capital CoFounder and CTO, explains how he’s confronted these questions, and how he’s incorporated elements of both monoliths and microservices into Wunder’s architectural design. Riess describes the factors that pushed Wunder Capital toward a hybrid approach (8:40), the authentication challenges associated with breaking an app into services (10:40), and how open source projects like Rails have helped Wunder Capital overcome limited dev resources (11:37).